Abraham Lincoln once said, "Teach the children so it will not be necessary to teach the adults." Indeed, teaching is a great way to affect the future of your country and create positive change. The following steps will help guide your journey toward becoming a teacher in the state of Alabama. First, you need to think about which setting you would like to teach in. For example, would you like to see yourself teaching in high school? Do you like to teach a particular subject like French or Mathematics? Answering these questions will determine some of the steps you take and will help you stay on track. The Alabama State Department of Education has information about schools, teachers, students, and curriculum, which could help you make your decision. In Alabama, the basic education requirements for becoming a teacher are obtaining a Bachelor's Degree (from a state approved teacher education program at a regionally accredited college or university) and passing the Alabama certification exams. For a list of regionally accredited institutions, refer to the Alabama State Department of Education's list of Approved Programs. The most direct route for Alabama teacher certification is obtaining a Bachelor's Degree in the desired certification area from a blended teacher education program in an Alabama college or university. The institution should be formally approved by the Alabama State Board of Education. Prospective teachers should work with their chosen school to ensure that all state requirements and paperwork are fulfilled. Recommendation for certification must be completed by the certification officer at your school. Public school teachers in Alabama are required to possess teaching certification. This certification is traditionally obtained after the completion of an approved teacher preparation or education program. Teacher education programs generally consist of two components: college coursework and fieldwork. College coursework usually includes a focus on pedagogy (the art and science of teaching), subject-based teaching methods, differentiated instructional strategies, classroom management, and technology integration. The fieldwork component often includes field observations and student teaching or interning, depending on your chosen program. Successful student teaching usually includes the creation and implementation of lesson plans, writing reflections, and putting together a cumulative portfolio. Teacher preparation programs can be completed online or on-site, as long as the program is approved and accredited. If you already have a Bachelor's Degree, you can go through an approved alternative route. Often times, you can complete a post-baccalaureate teacher preparation program. Many programs even offer joint Master's Degree programs. If you already have a Bachelor's Degree in an area outside of teaching, there are alternative ways to obtain teacher certification in the state of Alabama. One option is the Special Alternative Certificate (SAC). This option is available for those who have a Bachelor's Degree and have been hired by a local board of education or a nonpublic school. It is typically good for one school year and can be renewed twice. This gives one adequate time to complete the requirements for an Alabama Class A (Master's Degree) certificate through an Alabama Fifth-Year Program at a college or university. Another option is the Alternative Baccalaureate Level Certificate (ABC). The ABC is similar to the Special Alternative Certificate in that you must have a Bachelor's Degree and have been hired by a local board of education or a nonpublic school. The certificate is good for one year and has a possible reissuance for two additional years. This option allows candidates with a Bachelor's Degree to document experience or study in the field for which certification is desired. A mentor teacher is then assigned by the superintendent or headmaster. There are specific requirements related to the experience and the Bachelor's Degree courses taken, so it would be wise to contact the state certification office for specific information on this option. After completing your education requirements, the next step to becoming a teacher in Alabama is to pass the required state tests. These tests are offered by the Alabama Educator Certification Testing Program (AECTP). Note that if you have an Alabama Professional Educator Certificate or a valid Professional Leadership Certificate, you are not required to pass the basic skills assessment of the AECTP. Also, note that some colleges or universities may ask that you pass some or all of these tests prior to entering or exiting a teacher preparation program. Check with a program advisor or counselor to find out more about your requirements. Certification forms for prospective teachers in Alabama may be found in the Publications section of the Alabama State Department of Education's website. In Alabama, they believe that every child should have the power to become a prepared graduate. With that said, at last you will be prepared to begin your career as an effective teacher in the great state of Alabama! Teaching jobs in the state of Alabama are trending slightly upward as class size ratios change to benefit students. There are some growth areas for teachers such as agriculture, foreign languages, sciences, special education, business, mathematics, and computer sciences. To access these and other public teaching jobs, visit Teach in Alabama, funded by the state Department of Education. There are over 500 private schools in Alabama that serve approximately 85,000 students. Private school teachers may experience a lower teaching ratio, a particular religious affiliation, or a same-gender environment. The teacher's union in the state is the Alabama Education Association (AEA). The AEA services over 100,000 educators throughout the state. Beyond consumer benefits, the AEA provides legal benefits that allow teaching professionals to feel secure as they perform the scope of their duties. Teachers who are faced with action in regard to their employment such as disciplinary action, transfers, and lawsuits are encouraged to contact their local AEA director for support. Teachers can also depend on the AEA for insurance, loans, financial planning, and competitive credit cards. For retirement planning, teachers may be eligible to contribute funds to the Retirement Systems of Alabama (RSA) or the Retirement Systems of Alabama, both of which hold public pensions funds for state and public education employees in the state of Alabama. The table below lists the number of public school teachers in Alabama by grade level during the 2012-2013 school year. There are more than 360 private schools with an estimated 5,500 private school teachers in Alabama. The table below details the number of teachers by grade level during the 2011-2012 school year. Teachers expand their knowledge and skills while sharing their practices with others. Through a combination of learning and leadership, professional development is facilitated through formal and informal sessions. These sessions can be with peers and experienced members of their profession. The goal of professional development for educators is to meet the best outcome for each student. The Alabama Council for Leadership Development works closely with the Alabama State Department of Education to help teachers and educators determine appropriate content and delivery methods for professional development opportunities. 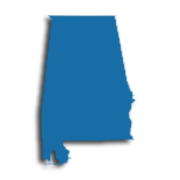 There are a number of organizations in the state of Alabama which provide professional development offerings to the state's teachers. Generally recognized are PLUs (Professional Learning Units) and CEUs (Continuing Education Units) as measures of ongoing development. Teachers who are looking for resources and courses are encouraged to check out eLearning Alabama, Alabama Learning Exchange (ALEX), Alabama Technology in Motion (ATIM), and other district and state approved opportunities. Teachers in Alabama are fortunate that their PEC Class B certification is all they will ever need to teach in the state. But the Alabama State Department of Education also offers a Class A certificate, a higher level of certification that will set you up for higher pay levels in most districts and better opportunities throughout the state. So what's the catch? Well, you have to have earned at least a master's degree in order to qualify. Like the bachelor-level Class B, to qualify for a Class A in Alabama means attending a regionally-accredited school that is on the Department of Education's Approved Programs list. It's also possible to earn your master's outside of Alabama, but you will then have to go through a fairly exhaustive reciprocity process to have it recognized. You're not required to apply for a class A in order to reap the benefits of a higher degree. According to the ALSDE website, for 2018 base minimum salary for a teacher with a master's degree was $44,091 compared to only $38,342 for someone holding only a bachelor's. But it's a fairly painless process since you are already halfway there. The degree must be earned in either your current field of study or a selection of state-approved subject matter areas in order to qualify you for higher pay grades. Working toward a master's degree has other benefits in Alabama. If you have been admitted to a Class A qualified program, you are eligible to apply for an Interim Employment Certificate in the state, a credential that can allow you to teach for up to three years in the state before earning your formal certification. And your master's degree work has another benefit even if you already hold a Class B; Class B certs expire every five years and require some pretty heavy duty experience and continuing education requirements to continue them as active. But one way to fulfill those requirements is simply by earning six hours of allowable credit from a master's program.